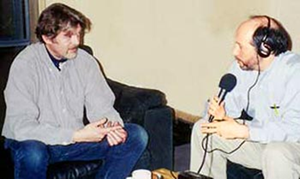 Philosophy Talk is radio that celebrates the value of the examined life. Each week, our two host philosophers invite you to join them in conversation on a wide variety of issues ranging from popular culture to our most deeply-held beliefs about science, morality, and the human condition. Philosophy Talks challenges listeners to identify and question their assumptions and to think about things in new ways. We are dedicated to reasoned conversation driven by human curiosity. Philosophy Talk is accessible, intellectually stimulating, and most of all, fun! For the music you won't hear anywhere else, welcome to Radio Retro. For the most complete retrospectives anywhere in the country - from Rosemary Clooney to the Beach Boys, it's Radio Retro with your host, Mystery Mike. In the middle of Radio Retro is the Blues Nugget with the Babe of the Blues, playing blues from the 20's to the present day. Serenading the Soul is a relaxing music program featuring Catholic musicians & performances. Informs and educates the public about mental health, in particular about holistic approaches, sciences, yoga, and more! The Grand Hour is a hodgepodge of indie rock, punk, new wave, industrial, dub, noise, post-punk, krautrock, twisted blues, rockabilly, hillbilly, you name it-- I play it. Sometimes in the same set. So what do you think, you want to try it? Come on! The House P.I., the House Private Investigator is a show all about houses, from condo's to mega mansions, three hundred year old homes to brand new and every type of home in between. The House P.I. covers a wide range of issues and topics including home maintenance issues, home purchasing, mortgage issues, home inspections, environmental issues, energy efficiency, and more. The House P.I. is an insightful, in-depth radio show that will cover pertinent, timely topics affecting home buyers and home owners today. Listeners have the opportunity to participate in the rosary at the start of the show as well as hear news of interest to members of local Dioceses. On many shows there is a Franciscan meditation period. At certain times there are discussions on recent topics of interest to Roman Catholics. This is not just atheists talking to other atheists about atheism. While that might be fun, other people have done it and much better than The Nondescript Atheist would. Instead, they would like to talk to clergy, theologians, and people with other religious backgrounds and cultures. And not to bash religion or make personal attacks, but to have lively conversation, hopefully interesting conversation, and hopefully with people calling in. Your host, The Professor, has never understood the point of "Oldies" shows that simply play one track after another ("Rock Around the Clock" followed by "Get a Job") with no attempt at putting the recordings into their musical (and social) context. Isn't it interesting, for example, that the records produced out of the Sun studios in Memphis in the mid 50s were all made by the sons of sharecroppers, who had recently moved into the cities. The Professor plays lesser-known songs by well-known singers like Buddy Holly and Carl Perkins, and also some great tracks by not-so-well-known singers such as Bobby Charles and Roscoe Gordon. He also talks about some of the musicians he's met including Jerry Lee Lewis and Billy Lee Riley. He'll tell you who played on each track, who wrote the song, where it was recorded, and what the singer did later in his/her career. It's fun, you hear the best music, and you get to appreciate one of the 20th century's great art-forms - the 2-minute record. This show will inspire you through music, interviews, and conversation of Catholic issues. The objective of the program is to bring you to a higher level of spirituality, whether you are already a Catholic or Christian, or are of another faith. The show can especially reach those people who may be shut-in and cannot make it to worship. The show is for anyone looking to improve their daily living. An eclectic hour of music and talk, with each episode having a theme expressed through music and talk. The purpose of WHO CAN I RUN 2 is to provide a voice and knowledge to those who are dealing internally with personal issues in their life, acknowledging that there are some people that do not know WHO CAN THEY RUN TO. WHO CAN I RUN 2 provides a platform for people to voice their issues and concerns on topics that people don't really discuss. The show gives young adults that are dealing with growing pains coping ability. Remember, you are not alone, you have a voice and you will be heard. Promoting blessings, love and peace, World Reggae Party spins Reggae/Reggaeton/Dancehall and Soca music from all over the world! 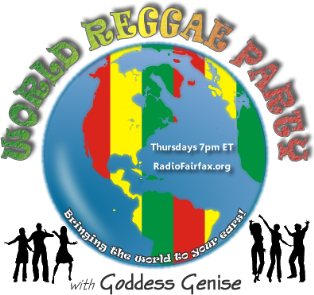 Bringing the World to your ears, World Reggae Party with The Goddess Genise on Radio Fairfax!! Thursday nights at 7pm...WRP will ROCK YOU!!! Ire'Baloo, and RAH, RAH, RAH!!! Your Jazz is a presentation of Urban Jazz, Smooth Jazz, and Standard Jazz Cuts. Your Jazz captures a bit of the jazz sound that was made known to the world by an array of American and International jazz. These pioneers/artists set the standard for the versatile sound of jazz that we hear today. 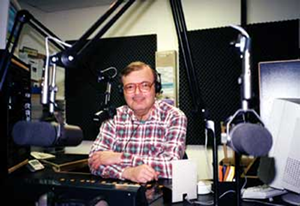 The Your Jazz show plays music that appeals to the young as well as the older audience. It can be said that the Your Jazz show features some of the best Jazz heard anywhere. Tune in every Saturday with Lawrence Alexander for Your Jazz! Enter a mystical alien space dimension where meditation is mandatory. Here we communicate through thoughts and vibrations. Our spirit machines hum and burgle gorp while they craft spiral monuments out of crystal. Put on a mask or enter our sacred gardens for daily ritual. Enjoy selections of new age, ambient, electronic, noise, drone, indie, and lo-fi. Community Central Radio utilizes a panel format, various community leaders and community members discuss such vital issues as health & wellness, employment, education, childcare, the economy, taxes, political officials and the business sector. You are lonely and need someone to talk to, well, DAMY FM flies you through time into the magic of feelings. Our mission is to be with you, to listen to you, share your passion and your memories, to meet you at your point of need, and help you transform your paints into happiness. DAMY FM is your smile around the corner and it's every Saturday from 7 to 8pm with Phillipe DeBoguinard, the Prince of Feelings. Remember, when you share you learn. We all will reach a crossroads in our life where we will have to make tough decisions. Encrucijada is here to help you make the right choice. FM ODYSSEY offers "eclectic excellence" in radio programming presenting the finest, most innovative free-style format heard anywhere. New and emerging contemporary singer songwriter, folk, and rock artists are played side by side with folk/rock musical legends in a way that not only sounds right, but feels right. A nationally syndicated show, FM Odyssey is astonishing public radio audiences with its impressive specials & interviews. The show is vibrant and intelligent, offering music with both a heart and a soul. 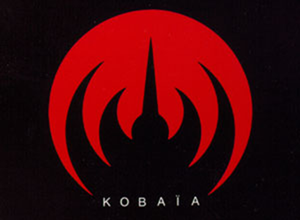 A typical playlist may include legends such as Renaissance, Circus Maximus, or Brian Auger as well as Leonard Cohen, Bruce Cockburn, or Kate Wolf. It will also grab your attention with emerging artists such as Mark Erelli, Tony Joe White, The Dharma Bums and Jonell Mosser. This blend has proven to be extremely effective in both creating and maintaining a fiercely loyal audience by tapping into hidden musical memories, yet challenging them with fresh, new artistry. Stay tuned - FM Odyssey will knock your socks off! Tyra G responds to the women with whom she has connected through her book, The Memory Box, as well as speaking engagements, her weekly blog, and other such life experiences. Join her and her guests as they take emotional risks that will lead them to restoration, renewal, resilience, and joy! Jazz at Club Paradise is a Saturday afternoon radio program geared towards keeping the music of the legendary Jazz masters of yester year alive, and exposing it's listeners to new artists. The show also informs it's listeners with tid bits and facts about the artists, their music and backgrounds. There is bias in all news reporting. There are no objective journalists or objective news programs. So get your news from someone who admits the truth. Justice Percell honestly reports the news with bias and opinion. Listen to the Justice for All program to get honesty in news reporting. Join Katharine Wang as she discusses principles from the bible about life and becoming who we are destined to be, often based off of questions inspired and submitted by listeners. Original '50s-'60s rock 'n' rhythm with a touch of rock's roots from the late '40s. Trains in the night... Where are they going? Trains and music are joined together every time the Night Train pulls into another city for a few hours. The music is the sounds of the cities: urban vocal groups, from the 50s through early 60s, with occasional new material as well, with your engineer, Squire. Some refer to it as Doo-Wop music, but it's more than that. No matter if you're not familiar with the songs, Squire explains everything. Every week a new train ride and new records to hear: Classics, favorites, obscurities, and some mega-rarities. On The Commons and its host, Shu Bartholomew have received national acclaim by bringing a controversial issue into the spotlight. It is a weekly radio show dedicated to discussing the many issues surrounding mandatory homeowner associations, the fastest growing form of residential housing in the nation. The show features interviews with attorneys, mediators, authors, homeowners, and members of the industry. Tune in for this educational show where you will get information not readily available anywhere else.